Blog | Granite Drilling Co. Happy National Ground Water Awareness Week! 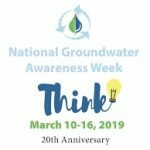 National Ground Water Awareness Week is an annual, weeklong observance established by the National Ground Water Association to highlight the responsible development, management, and use of water. Established in 1999, #GWAW provides an opportunity for people to learn about the importance of groundwater and how the resource saves lives. Surface water is far easier to reach, so this becomes the most common source of potable water. About 321 billion gallons per day of surface water is used by humans, and 77 billion gallons of groundwater is used each day. While the amount of water that exists seem to be plentiful, the availability of water for human consumption is limited – remember to keep conserving! 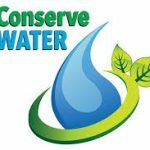 In 2017 Jerry Brown announced the drought in California had ended, and in a recent article in the Mercury News, it stated that urban Californians have declined in their conservation efforts since the Governor made this announcement. As a 30 year seasoned, water well driller, I can tell you that California was never out of a drought. While we experienced a wet winter in 2017, it’s going to take several years to replenish California’s extremely low rain yields. In light of this, water conservation is still and always will be critical. Avoid planting grass or high water usage vegetation in areas that are hard to water, such as steep includes and isolated strips along sidewalks and walkways. Minimize evaporation by watering during the early morning hours when temperatures are cooler and winds are lighter. If you choose to keep a lawn – if walking across the lawn leaves footprints (blades don’t spring back up), then it’s time to water. Leave lawn clippings on your grass, this cools the ground and holds in the moisture. If we continually maintain our water conservation efforts, then we will feel less burdened when State restrictions are put in place. 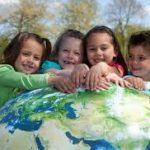 We are all in this together, so let’s keep conserving! 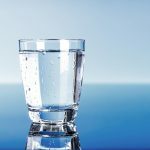 How do I start the process of obtaining a water well? First consideration is the water well permit – Monterey, San Benito, Santa Cruz, and Santa Clara counties all require a permit prior to drilling. Secondly, there are drilling restrictions depending on the county you live in. For example, the above mentioned counties require well location 100 feet from the septic system. After the permit and drilling regulations have been addressed, the well site location is determined between the water well Contractor and the client. How do I ensure the location I choose will generate water? It’s considered best practice to hire a Hydrogeologist to provide structural land analysis to ensure the most probable water location. How many gallons of water will the well yield? Water well yield is dependent on the geologic structure of the land. In our area, alluvium formations (Valley floors – Salinas, Pajaro, and Santa Clara), will produce more water than hard rock formations (mountains). 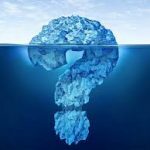 What are the environmental constraints associated with drilling a well? Environmental constraints are county specific and will be addressed when you start the process of obtaining a water well permit. What techniques are used to drill? Using state of the art equipment, Granite Drilling, specializes in air and mud rotary, and down the hole hammer drilling for domestic, commercial, agricultural, irrigation wells. Do you learn better by watching videos vs. reading? If so, I’d like to share this short, instructional video, also located on our website www.granitedrilling.com, made by the American Groundwater Trust. This video also addresses each question noted above. 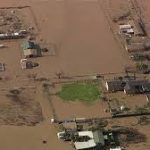 After a flood, the owners of household wells should take certain precautions to make sure their water is safe and their well is in good operating condition. An obvious concern is that flood water loaded with bacteria, chemicals or other pollutants may have gotten into the well. A less obvious concern is electrical shock if a non-submersible pump or any part of the well electrical system is flooded. Water wells are specialized systems that require knowledge and expertise to repair and disinfect. If your well has been flooded, use bottled water or boil your water until a qualified water well system contractor can check out your well system. 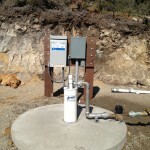 Well owners also can benefit from reading the well maintenance and water quality sections of www.wellowner.org. With all of the recent rain, we tend to forget about our water wells; however, this is the time to examine your wellhead and make sure it is properly secured. If a wellhead is not properly secured, heavy rain and flooding can become a direct conduit for contamination to your drinking water supply. Examine the electrical conduit attached to the wellhead and make sure the connection is properly sealed and water tight. It’s important to note that the liquid tight conduit will break down due to UV exposure. Look for cracks and any disconnections that expose electrical wires. Check the electrical connection at control box – make sure the conduit is properly connected to control box. Inspect the wellhead for any open access ports. Check well casing for holes or cracks. Check the plumbing seal to the wellhead for rusted bolts and broken off plugs that could allow for exposing direct access for rodents and contaminated water. If you find any exposed wires, please contact a professional electrician or a pump contractor. It is not safe to handle electrical wiring if you don’t have the proper experience. 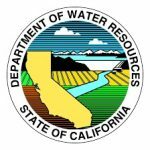 Did you know that you could subscribe to the California Department of Water Resources – Water Plan’s weekly, e-newsletter and receive updates/information about state wide, water planning? This week’s e-newsletter addresses the following topics – California water goal to be discussed at the California Economic Summit (12/13/16-12/14/16); emerging research to be discussed at the California Climate Change Symposium (1/25/17-1/26/17); information regarding key resource management as it pertains to seventeen national forests; and information regarding proposals to sustain the Delta to be discussed at the California Water Law Symposium (1/21/17). In addition, the e-newsletter provides a link to the Water Resources calendar of events and a link to comments/suggestions. Since California faces many, ongoing water challenges, it’s up to all of us to stay informed and provide our input to our State law makers. 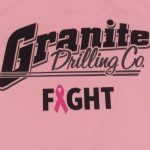 October is Breast Cancer Awareness month, and at Granite Drilling Company, we want to take the opportunity to support the family fight against cancer. When someone is battling breast cancer, it means the whole family is fighting, and it can be especially hard on the kids. We want to help those children dealing with parental cancer by donating to Camp Kesem. Camp Kesem supports children through and beyond a parent’s cancer with fun-filled programs that foster a lasting community. Driven by passionate college student leaders, Camp Kesem operates over 70 free summer camps in 33 states. In 2016, they served over 6,000 children – all funded by generous donations from individuals, foundations, and corporate partners. Check our our Facebook page to learn more about our donation – On Facebook, we are asking users to share our donation post with their friends and to like Granite Drilling Company! After 1,000 likes, we will donate $1,000 to Camp Kesem! 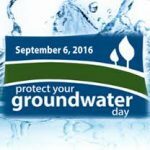 Today is Protect your Groundwater Day! While I recently blogged about the topic of groundwater – 5 Facts About Groundwater, today’s blog will be focused on an educational video demonstrating how ground water becomes utilized – How to Drill a Water Well. The video displays the step by step processes of well drilling, well construction, and equipment installation needed to provide a safe home water supply. This video was created by the American Ground Water Trust. Enjoy the video – 1.9 million views so far!